After meeting Alika Nako'oka and hearing his voice, you'll know you've encountered something of lasting significance. Alika Nako’oka is a singer, songwriter, and recording artist that has the incredible talent to play whatever kind of music you want to hear. 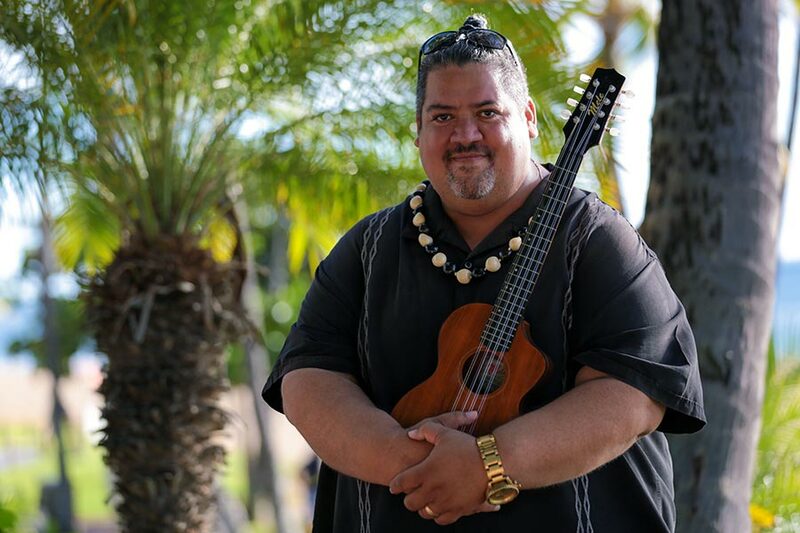 Maui born and raised, Alika comes from a long tradition of popular Hawaiian entertainers such as his father, Alika Sr. and his uncles Jesse, and William “Smiley” Nako’oka. The musical styling of Alika ranges from Hawaiian, Island-style, Soul, Pop, Rock, and R&B. Alika specializes in live performances, weddings, birthdays, and special events on the island of Maui and around the world! Alika has fully produced backup sound and doesn’t require a lot of stage room. Did you know you can arrange to book Alika for a live performance, wedding, birthday, or special event? He has played an intimate sunset cruise for 2, as well as open for Lady GaGa at a House concert in Del Mar (near San Deigo). He’s played weddings from Ko’olina, HI (on the island of Oahu), to a huge wedding at the Ocean Edge Resort in Brewster MA. Tap on the button below, if you need Alika to create a musical experience that you will never forget. Alika has a beautiful voice! His live performance at last years 5th Annual Kalama Heritage festival was magical. Aloha Alika, thank you so very much for making our party the best it could be. You have a wonderful voice and everyone loved you. I'm getting e-mails, phone calls and thank you cards telling me that the luau was amazing and so much fun, and just the best party ever! I wish it could have gone on all night! Love ya. We saw Alika perform at both the 2009 & 2010 International District Summer Festival in ChinaTown and had to get his CD. What a voice!! Maui recording artist Alika Nako'oka is a gifted Singer, Musician and Songwriter. He will take you on a memorable musical journey with his talented versatility. His voice is as smooth and silky as a fine glass of Merlot. Alika's music is so sweet!! We can't play it enough on KPOA FM 93.5. Alika's show was wonderful. He made our wedding day so special. Alika Nako'oka is a Hawaiian singer, songwriter, and recording artist with over 30 years of entertaining experience. After meeting Alika and hearing his voice, you'll know you've encountered something of lasting significance. Copyright © 2018 Alika Nako'oka. All Rights Reserved.